This article was reviewed by Dr. Keith Kantor, Ph.D., Nutritional Science. He is the CEO & Founder of NAMED Program (Nutritional Addiction Mitigation Eating & Drinking). He is a Doctorate of Science in Naturopathic Medicine from the Northeastern University. He had done Masters in Nutritional Science from the Kaplan University. What is Lipogen PS Plus? The brand of health supplement named Lipogen PS Plus is designed to optimize brain energy and improve memory and other symptoms associated with aging brain cells. The product has a very detailed website that, while informative, is not presented well and can be confusing for the consumer. According to the website, the brain contains 100 billion cells which become damaged over time resulting in significant loss of brain power and cognitive function after age 50. People this age and older start experiencing many different symptoms such as loss of short and long-term memory, forgetfulness, trouble with names and dates, lack of concentration and loss of mental acuity. While some people obviously experience less severe symptoms, the cells continue to become damaged which can in some cases lead to serious cognitive disease. Lipogen PS Plus is said to be the best nootropic which can treat these symptoms by providing a fusion of compounds clinically proven to repair and protect damaged cells and actually reverse signs of degeneration. Who is the Manufacturer of Lipogen PS Plus? While the website for Lipogen PS Plus is not user-friendly, it does contain some important and relevant information about the brand. There is a video from the president of the manufacturing company, images, and details regarding damaged brain cells plus numerous customer testimonials. All company contact details are provided and the product can be purchased securely through the site. 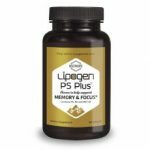 According to the information provided, Lipogen PS Plus is the only supplement of its kind that is qualified to claim that it supports and improves cognition and memory. The site links to several reports on clinical studies regarding the key active ingredient in the brand although there is no actual data shown from testing on the Lipogen PS Plus formula. Lipogen PS Plus Ingredients – Are they Safe & Effective? Unlike some cognitive function products, Lipogen PS Plus only contains one key active complex. The Phospholipids Complex uses the power of Soy Lecithin Phosphatidylserine, an ingredient that is often included in brain support supplements. This ingredient is said to be vital to brain cell function, providing protection from degeneration and providing cell building blocks which can, over time, improve the performance of the brain. There has been a lot of studies and testing performed on this ingredient and it is known to have significant effects on memory loss associated with degenerative diseases. What are the Advantages of Lipogen PS Plus? What are the Disadvantages of Lipogen PS Plus? How Should You Take Lipogen PS Plus? Take Lipogen PS Plus at the recommended dose of 1-2 capsules per day, they can expect to see significant results within 3-6 weeks. These memory enhancement pills are claimed to reduce cognitive age by 4 years. How Much is Lipogen PS Plus? There are several purchasing options available for consumers wanting to order the product; one bottle can be bought at a cost of $59.95 or they can choose to save money by buying in bulk. What is Lipogen PS Plus Return Policy? The product is said to have a 100% money back guarantee although the actual terms of this are not disclosed. Lipogen PS Plus is indeed one of the only supplements of this type to actually be able to back up its claims with scientific evidence. However, as beneficial as the key complex is, the formula could be improved with the inclusion of other natural ingredients known to improve and support cognitive ability such as Vinpocetine, Ginkgo Biloba, and Bacopin. As long as consumers are not deterred by the website, Lipogen PS Plus would certainly be worth considering for brain health support and, if they use the monthly fulfillment plan, they can also enjoy the product at a reasonable price. Nevertheless, the market is flooded with many cognitive supplements which might provide more benefits. Compare it with other best brain supplements to find the most suitable and convenient product. I decided to try Lipogen PS Plus, because I felt like I just needed a mental boost. My memory seems to be affected negatively lately and I just feel like I can’t get out of slump mode, if you know what I mean. The good news is that this product seems to be really beneficial to me, so I’m going to keep using it.